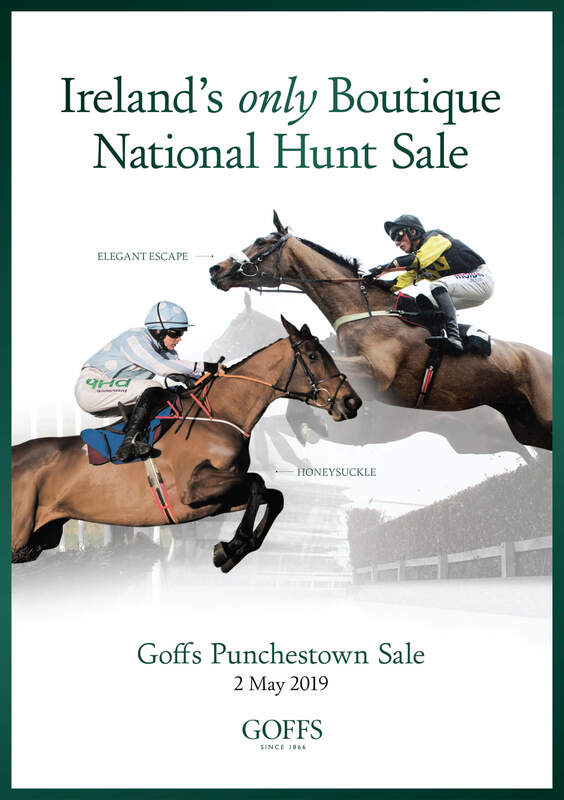 Goffs Punchestown Sale is the original festival sale and a highlight of the Irish National Hunt Festival at Punchestown. Capitalising on the high number of UK and Irish buyers at Punchestown for the festival, Ireland's only boutique National Hunt sale is a proven platform for selling high class point-to-pointers and horses with form. Last year's sale boasted a record top price of €320,000 and increases across the board in average, turnover and median. Other recent top prices include €280,000, €270,000, €260,000, €200,000 etc. Leading buyers at the Punchestown Sale include Aidan O'Ryan, Aiden Murphy, Anthony Honeyball, Bobby O'Ryan, Colin Tizzard, Derek O'Connor, Donald McCain, Evan Williams, Gary Moore, Gerry Hogan, Gordon Elliott, Harold Kirk, High?yer Bloodstock, Jessica Harrington, John Romans, Kevin Ross, Michael Buckley, Neil Mulholland, Paul Nolan, Rathmore Stud, Rebecca Curtis, Roger Brookhouse, Tom George, Tom Malone and Willie Mullins. To enter please contact Nick Nugent on 086 243 8899 or call Goffs on 045 886600.